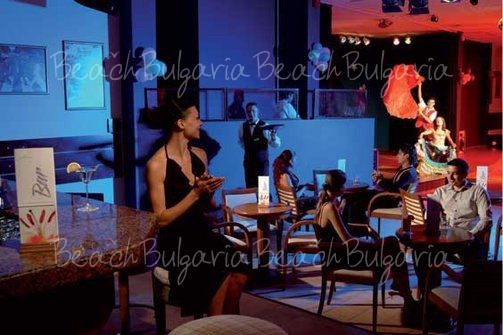 Riu Helios Bay Hotel is located on the beach of Obzor resort, 60 km from the international airport of Burgas. The complex is surrounded by gardens overlooking the sea. Regular bus lines connect the town of Obzor with neighboring resorts and cities. 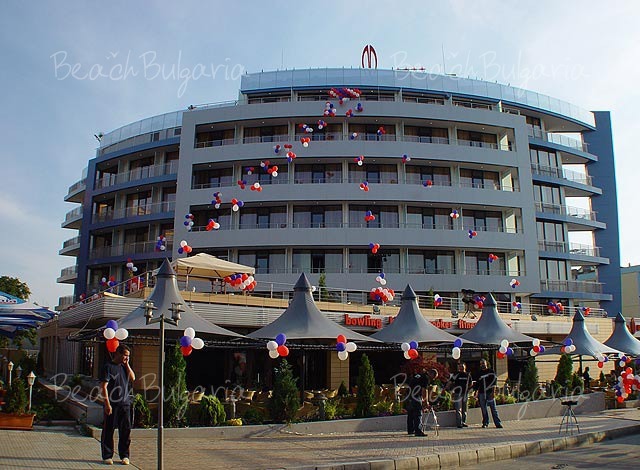 The international airport of Varna is 55 km away and the international airport of Bourgas is 50 km south. The hotel features 286 guestrooms equipped with shower room and hairdryer, central air conditioning/heating, satellite TV, telephone, mini-fridge and in-room safe for extra charge. Some of the rooms offer sofa bed and balcony with a sea view. 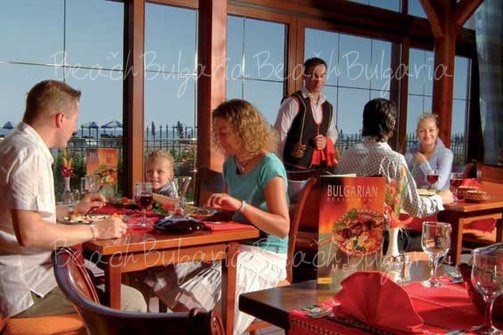 The main restaurant with terrace serves dishes from the Bulgarian and European cuisine. 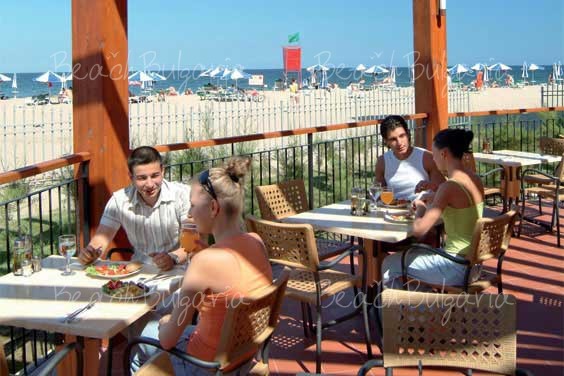 The second restaurant is with a panoramic sea view. The lobby bar offers soft and alcoholic drinks, tea, coffee. The cocktail bar offers sweets and cocktails. Personal safe, medical services, high chair, hairdresser, cosmetic services, change, beauty saloon, ironing, laundry, business center, internet room. 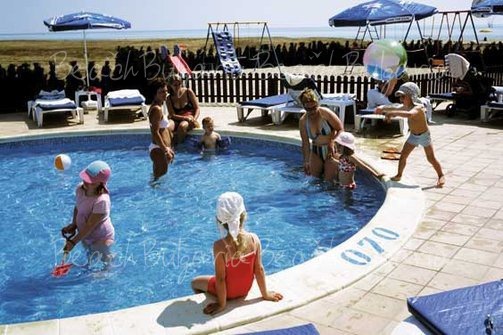 The hotel offers outdoor and indoor swimming pools for adults and children, fitness room, football, beach volleyball, billiards, table tennis. The hotel provides conference hall with 60 seats equipped with audio and video facilities for business meetings. 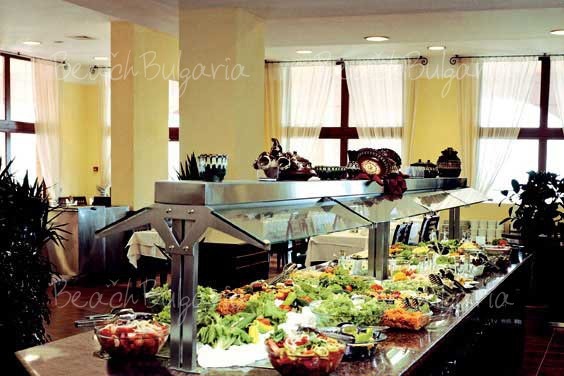 - Theme buffet two times a week, Bulgarian cuisine. - Unlimited local alcoholic and non-alcoholic beverages until midnight. Maximum capacity: Double room - 3 adults or 2 adults + 1 child; Apartment - 3 adults + 1 child or 4 adults. * Cancellations can be made free of charge providing details of this are received at least 10 days prior to check-in time on the day of arrival and 14 days during 01 July - 29 August 2018 - cancellations made after this period will incur a fee equivalent to the cost of 3 night's accommodation. 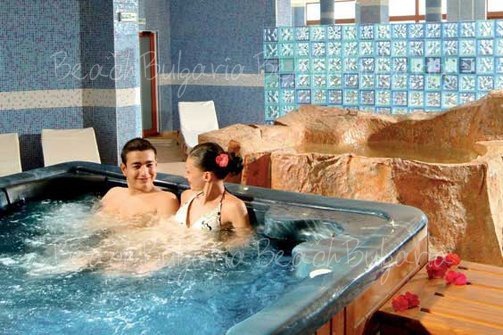 Please, post a comment on RIU Helios Bay Hotel. lots to choose from. room was very clean and comfortable. thank you for every thing. and we will be back.